Maritime Apartment is a newly renovated high specification second floor apartment, with views over Weymouth inner harbour. Secure allocated parking is located within the small apartment complex, and access to the apartment itself is by stairs or a lift. Inside, the apartment is spacious with an ample lounge featuring a Juliet balcony. 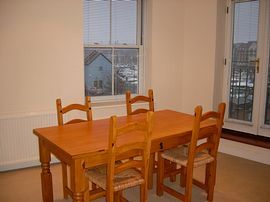 There are two bedrooms and two ,so the property is ideal for a family as well as two couples. Whilst everything you need for a good holiday is close at hand, should you want to venture further afield, why not visit one of the pretty Dorset Villages, such as Upwey or Burton Bradstock where you may enjoy a cream tea, alternatively explore the magnificent Jurassic Coast stretching the South Dorset coastline. Large lounge with Juliet balcony overlooking the inner harbour. Kitchen with adjoining dining room. Bedroom 1, double bed, with ensuite shower, hand basin and toilet. 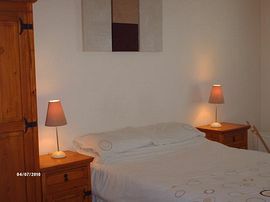 Bedroom 2, twin single beds. 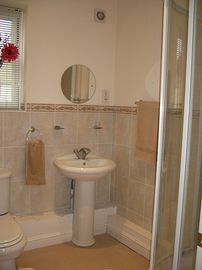 Bathroom with bath, hand basin and toilet. 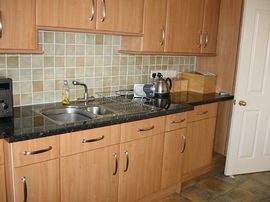 Services in addition to standard equipment: Gas central heating, TV with Freeview, DVD player, radio, fridge, freezer, washing machine, dishwasher. Bed linen inclusive, please state requirements when booking. Electric gated secure parking for 1 car. 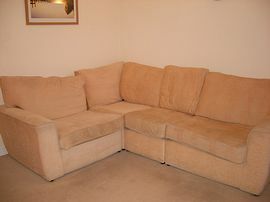 Duvets, Pillows, Sheets all included in the price. But you need to bring Towels and Tea towels. Local Services: within a few minutes walk of the long and sandy beach which has shallow waters with traditional Punch and Judy entertainment. The town centre is on your doorstep, and along with a good mix of high street favourites you'll find charming independent shops and a wide choice of restaurants ranging from fine harbourside through to specialist fish and Italian and Chinese, not forgetting the acclaimed traditional fish and chips. You can dine on a different cuisine every night of your stay. Minimum price is: £307 and maximum is £765, plus all bookings will have an extra £18.00 on top as a booking fee.